Most leg ulcers, especially those around the ankles and combined with hyperpigmentation, are caused by blood flow problems in the veins of the lower legs. Patients with this extreme condition of CVD should be evaluated by a vascular surgeon. 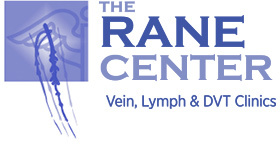 Although 80 to 90 percent of venous leg ulcers can be healed by conservative measures, they often recur. An assessment by a vascular surgeon will detect whether or not any additional interventions are necessary. Conservative treatment includes good wound management, leg compression, intermittent leg elevation and calf exercises. Conservative treatment requires active participation by the patient in a self-care plan and rigid adherence to compression stockings. Many patients are unable or unwilling to tolerate the pressure sensation associated with compression stockings. Correction of the underlying venous abnormality is often required to prevent recurrence longer term.